Bibliography: Brian Wildsmith, compiled by Douglas Martin, with introductory account of Wildsmith's career adapted from the essay by Douglas Martin in The Telling Line. 'Experiences as a fine printer and the running of the Fleece Press' an account by Geoffrey Beare of the IBIS lecture given by Simon Lawrence. 'The Diaries of the Great Warr by M. Watson Williams and John Kettlewell' by William Connelly. 'Aspects of 20th Century Book Illustration: the second IBIS Day Seminar on 16 October 1999, account of the seminar by Geraldine Beare..
'Brangwyn in Bruges' an article on the Brangwyn museum in Bruges by Roger Woolnough. Bibliography: Nora Lavrin compiled by William Connelly with introductory article, 'From Aesop's Fables to Casterbriski Zupan, The Life and Work of Nora Lavrin (née Fry) 1897-1985' by William Connelly. 'To Hold the Mirror up to ... Shakespeare: Illustration as a Tragic Art', transcript of a talk given to IBIS by John Harvey. Review: John Ruskin - A Life in Pictures by James S Deardon (reviewed by Simon Houfe). Bibliography: Eleanor Vere Boyle (EVB) compiled by Robin de Beaumont with introductory article by Margaret de Wend-Fenton. Review: The Dictionary of Twentieth-Century British Cartoonists and Caricaturists by Mark Bryant (reviewed by Geoffrey Beare). 'Daniel Maclise and Fraser's Magazine' by Roger Woolnough. 'High Church Piracy?' and article on The Penny Post by Simon Houfe. Obituries: William Stobbs, Edward Gorey. Bibliography: Olga Lehmann by William Connelly with introductory essay, 'Olga Lehmann: Radio Times' by William Connelly. 'Illustrated books at the Plantin-Moretus Museum' by Roger Woolnough. 'Nº 1 - New Excursions into English Poetry' by Martin Steenson. 'Nº 2 - The Beeton's Boy's Own Library' by J le Pla. Bibliography: Alice H Watson compiled by Robin Greer with introductory essay by Vanessa Whinney. 'The Ubiquitous Dolly Tree' by Gary Chapman. 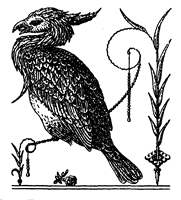 Bibliography: Margaret Horder compiled by William Connelly, with introductory article, An Australian Illustrator; Margaret Horder (1903-1978) by William Connelly..
'IBIS Aural History Project', a proposal by Peter Cope. 'Collecting Series Nº 3 - The Flowers of Parnassus' by Geoffrey Beare. Bibliography: The Published Illustrations of RA Brandt by Geoffrey Beare with an essay by John Keir Cross. 'The Uses of Imagination :Mime, Mise-en-Scene and the Moment in Book Illustration', an account of a talk given to IBIS members by Quentin Blake on 25 October 2001. 'Flowers for the Britains who Died helping Serbs: Mabel Dearmer' by William Connelly. Bibliography: Margaret Tourner compiled by William Connelly with introductory article 'Sister Margaret Tournour: Engraver' by William Connelly. 'J.D. 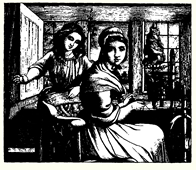 Watson - Pre-Raphaelite Illustrator of Childhood' by Simon Houfe. Bibliography: Harry Furniss compiled by Dr Gareth Cordery.